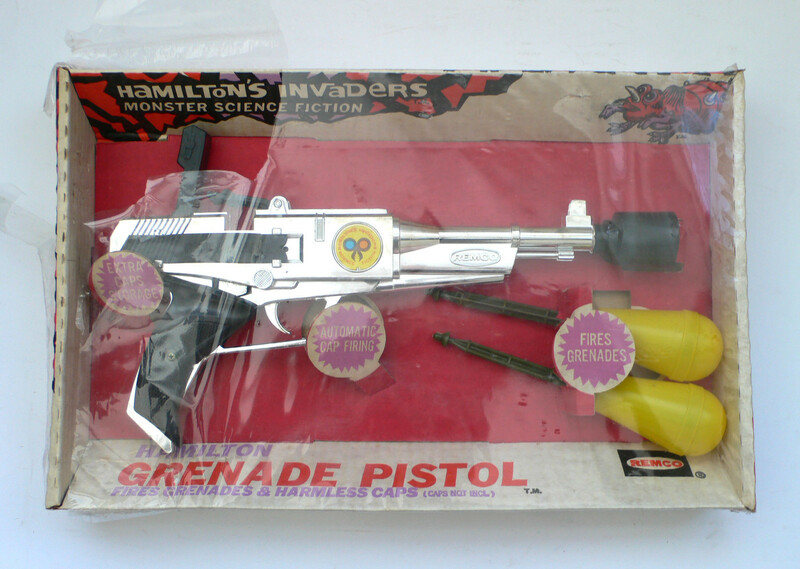 A vintage, old, Space toy - HAMILTON's INVADERS MONSTER SCIENCE FICTION GRENADE PISTOL Space Ray Gun. 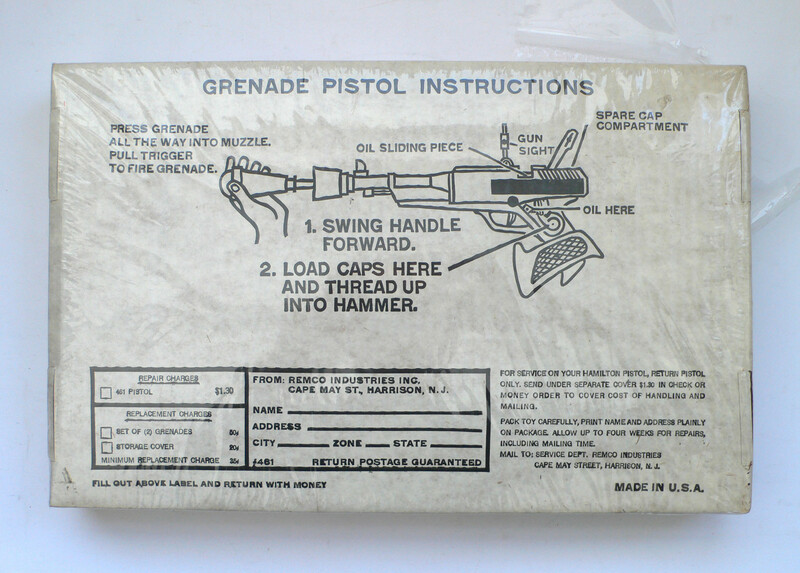 Made from plastic - Comes in it's original sealed box, plastic wrapping is torn at left top corner. 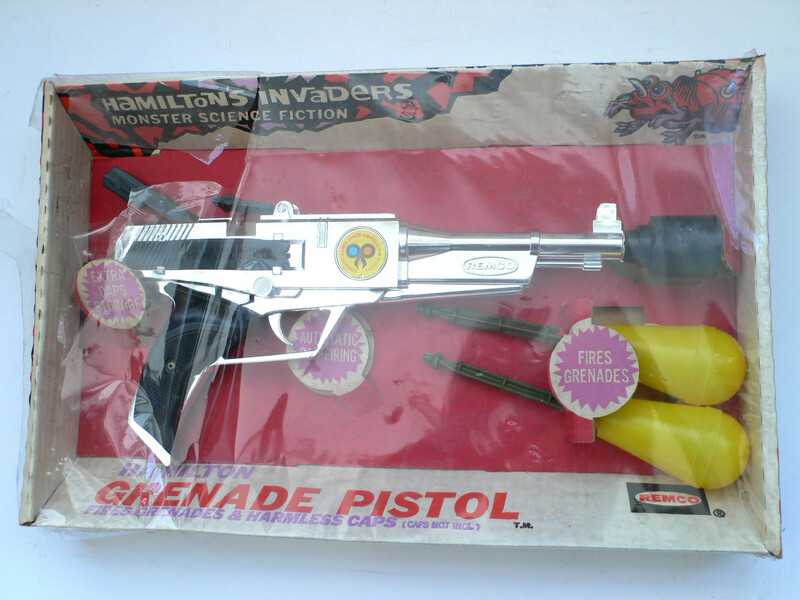 Made in the USA by Remco in the 1960's. As you can see either this was made prior to the Lost in Space TV series, or after for lic reasons?